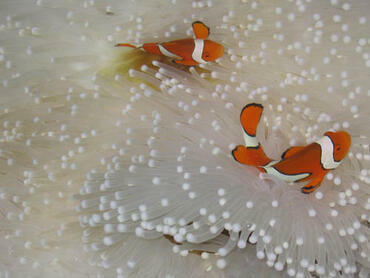 As it has been mentioned, Aiptasia anemone are also known by the name glass anemone. 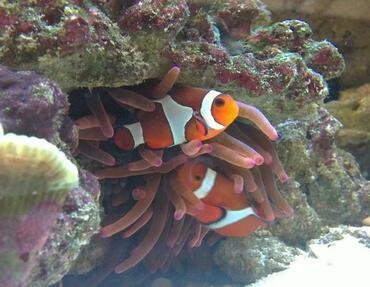 If you are familiar with reef tanks and reef inhabitants, you may recognize the term “anemone” from the type of organism that frequently houses clown fish. 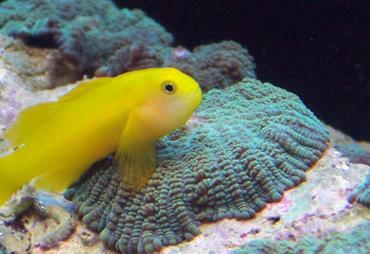 So why are Aiptasia considered a pest? 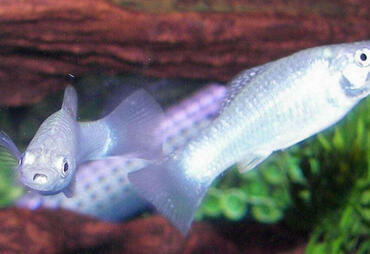 There are actually two answers to this question. 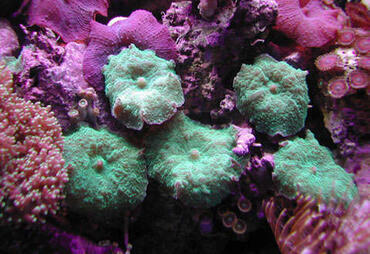 First, Aiptasia possess stinging cells and the toxin released from these stinging cells is more potent than many of the corals kept in the trade. 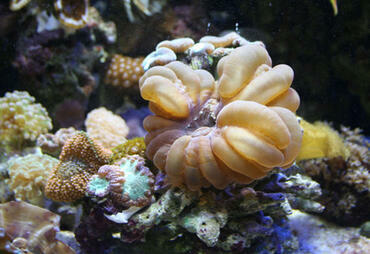 Therefore, if other corals in your tank get too close to an Aiptasia Anemone, they will start to recede and become stressed. 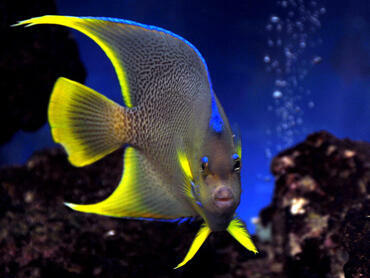 If they are not able to move far enough away from the Aiptasia, they will eventually die. The second reason Aiptasia are considered pests is because they reproduce very quickly, are hardy, and can soon overrun your aquarium. 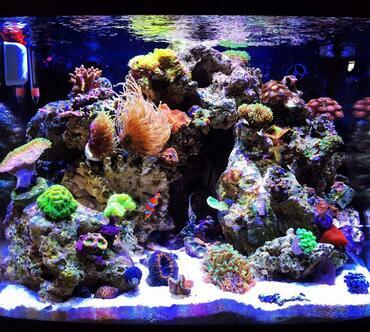 While it might sound great to have a full tank of anemones, Aiptasia look pretty bland and actually pretty creepy (almost as if they are telling you they are bad news). 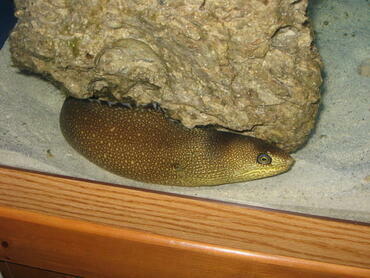 One way they reproduce is by pedal laceration which means that small bits of tissue are left behind when they move. 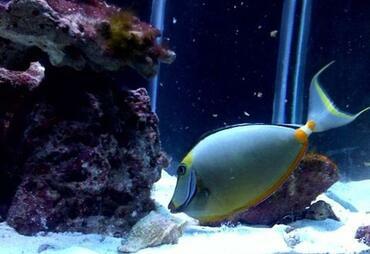 These small tissue fragments will then turn into full specimens which makes it incredibly difficult to remove them from the tank. 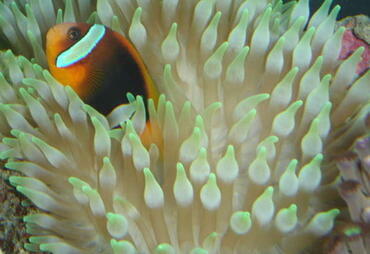 The fact that Aiptasia Anemones leave bits of themselves behind as they move brings us to our first point in getting rid of Aiptasia – DO NOT TRY TO SCRAPE OR CRUSH AN AIPTASIA TO KILL IT. 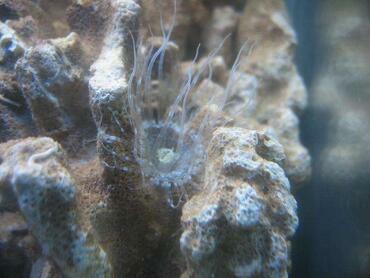 All you will end up doing is making a bunch of Aiptasia fragments that will then turn into full anemones. 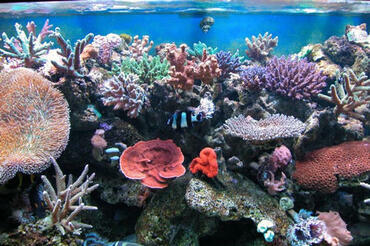 In other words, you will be speeding up their propagation. 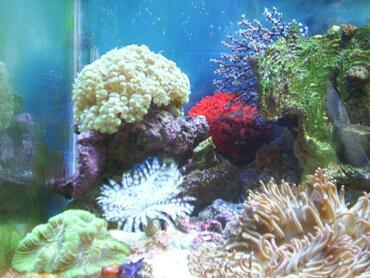 If you can’t physically remove the anemones from your tank, you may be at a loss for how to get rid of them. 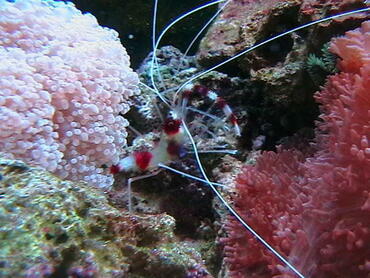 Luckily, the solution may be easier than you think – peppermint shrimp! 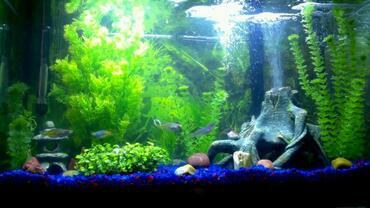 The single best way to quickly remove Aiptasia from your aquarium is to head to your local fish store and buy a peppermint shrimp. 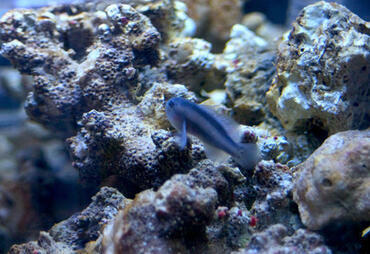 These little shrimps have a HUGE appetite for Aiptasia and are considered reef safe if you buy the right species. 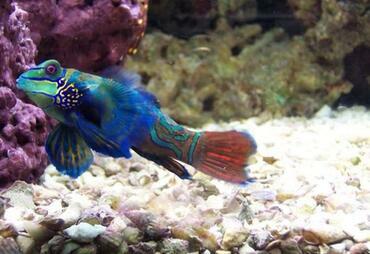 There are actually several different species sold under the name “peppermint shrimp” in local fish stores. 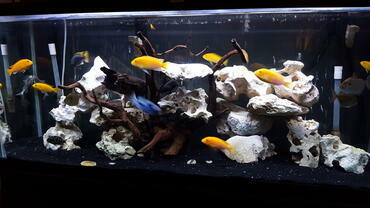 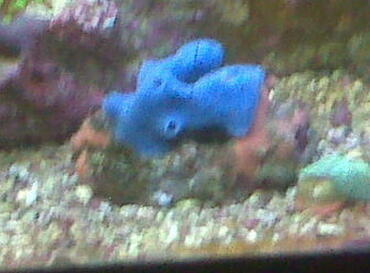 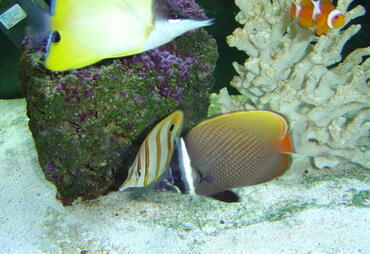 You want to buy Lysmata wurdenmanni, as it is the reef safe one. 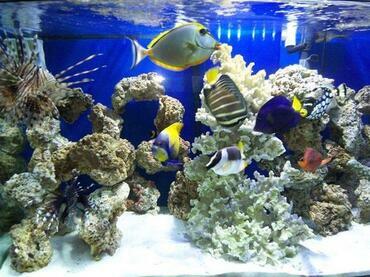 The other species can damage your small polyps and other corals so it is important to know that you bought the right species. 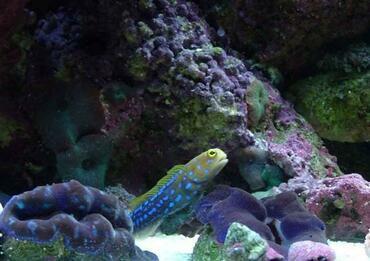 If you are really worried about your peppermint shrimp bothering your coral, you can drop one in for a couple of days, let him eat the Aiptasia, and then bring him back to the store. 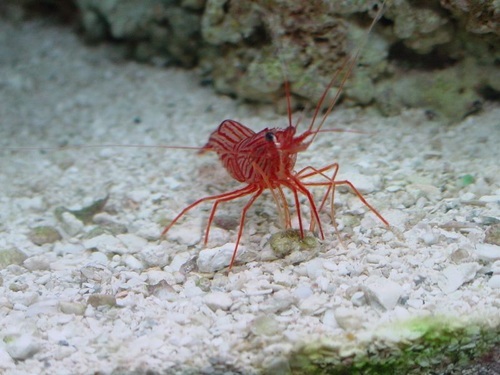 Peppermint shrimps are also a nice addition to your aquarium (if you do decide to keep the shrimp permanently) as they have a nice vivid pink/red coloration and stay small (2”). 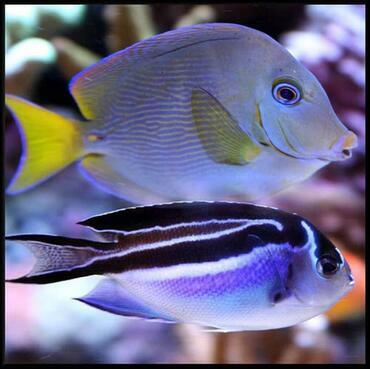 They are fairly benign and will generally not harm any fish, corals, or clams (unless the clam is already in poor health). 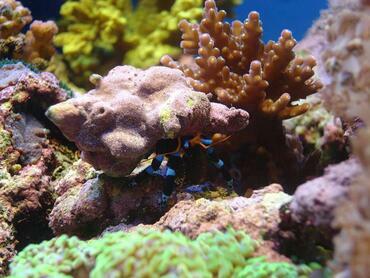 They are reclusive and nocturnal so you may not see the shrimp too often, but you can often find them hiding under a piece of rock or in a cave during the day. 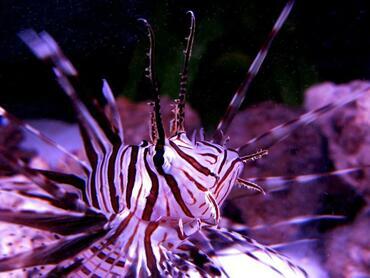 One thing to remember when using the peppermint shrimp control method is to not feed the peppermint shrimp until he has eaten all of the Aiptasia. 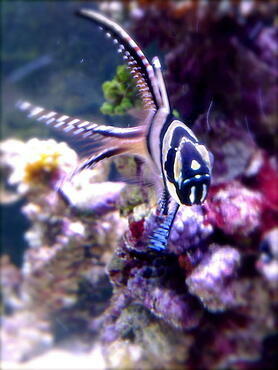 If you feed the shrimp, he will soon learn to eat your food and will become disinterested in the Aiptasia. 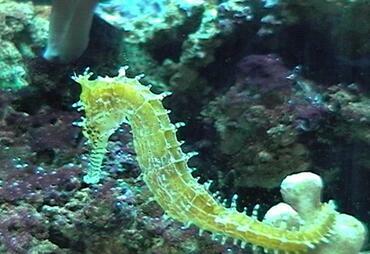 There are other natural strategies (natural meaning non-chemical) you can use to control Aiptasia besides just a peppermint shrimp. 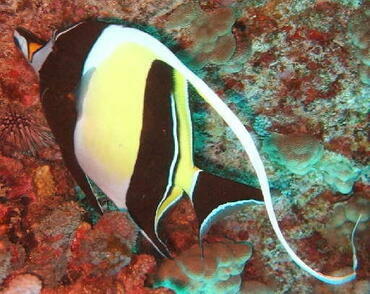 For example, the Copperbanded Butterfly fish is a common predator of Aiptasia (although there seems to be quite a variance from individual to individual in terms of their appetite for these anemones). 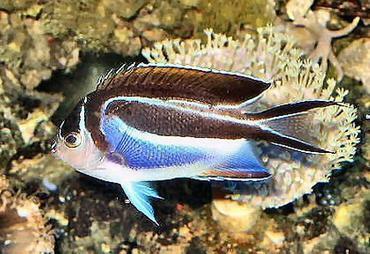 The Raccoon Butterfly fish is used by some people, but I have heard numerous reports of this species munching on other corals and feather dusters. Therefore, I would not recommend using the Raccoon Butterfly fish in a reef setup. 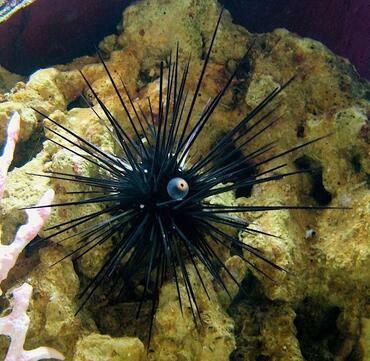 Nudibranches (specifically Berghia verrucicornis) have been found to eat Aiptasia, but there are several problems with this predator. 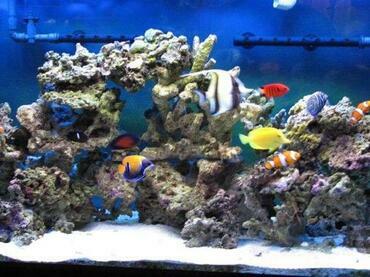 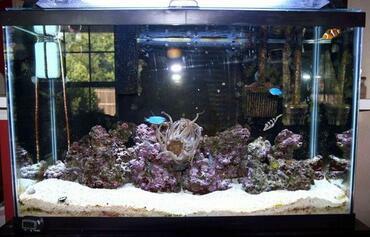 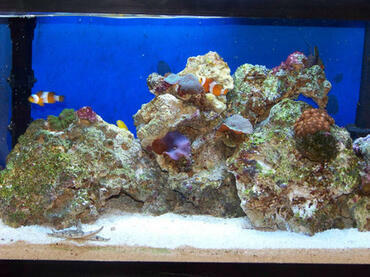 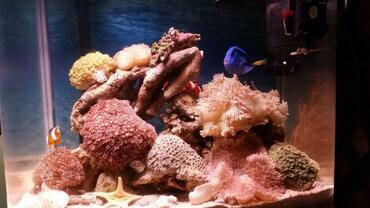 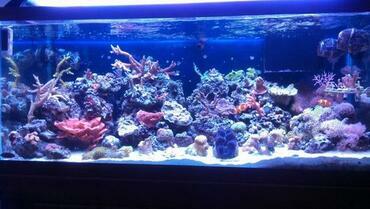 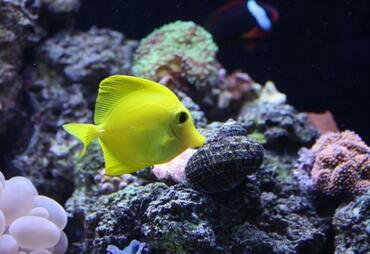 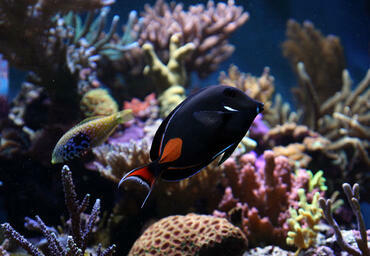 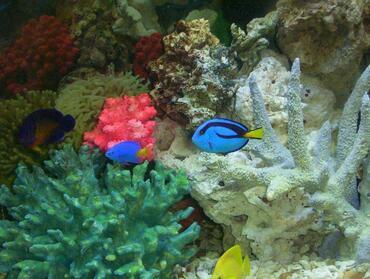 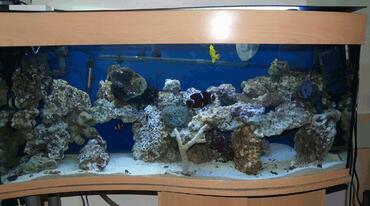 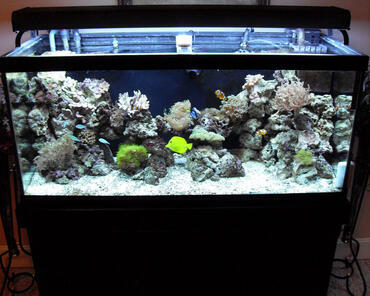 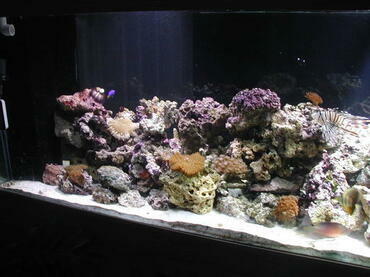 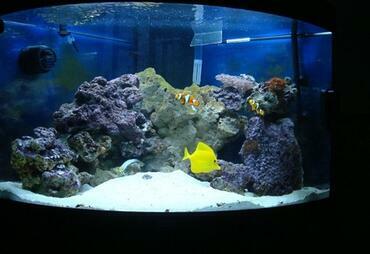 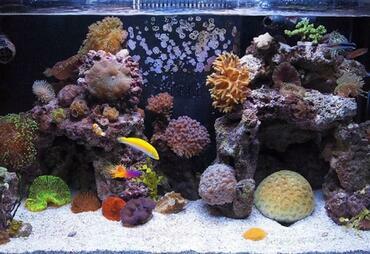 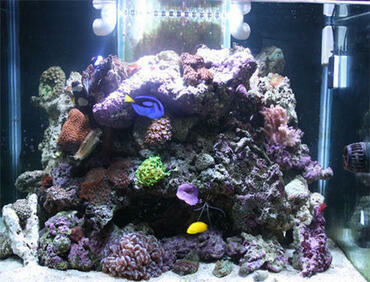 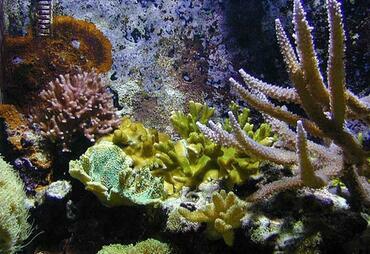 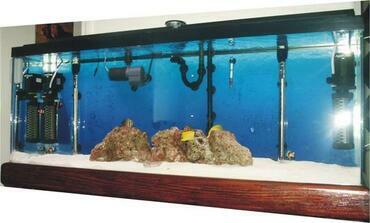 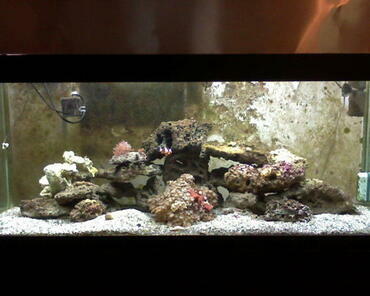 First of all, it can be difficult to find a specimen that is large enough for a typical reef tank. 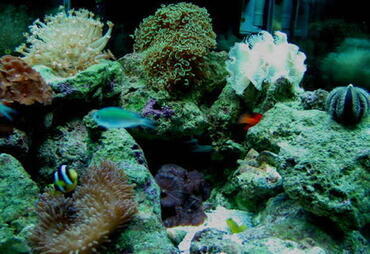 Secondly, they only eat Aiptasia so once this food source is gone, they will starve to death. 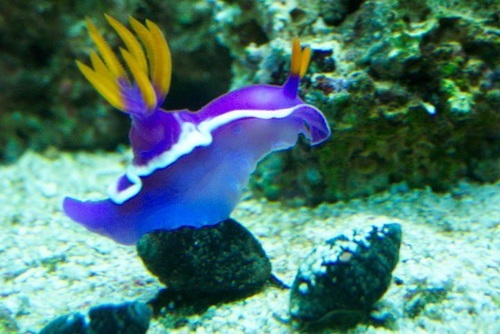 Some people have gone to a “pass it along” approach where they use the nudibranch for their aquarium and then pass it on to another hobbyist with Aiptasia in their tank. 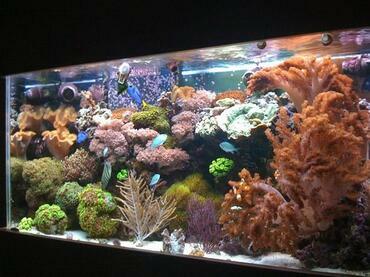 It is up to you to choose the option that works best for you and your tank. 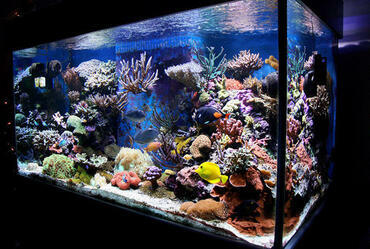 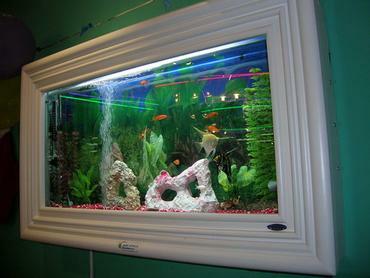 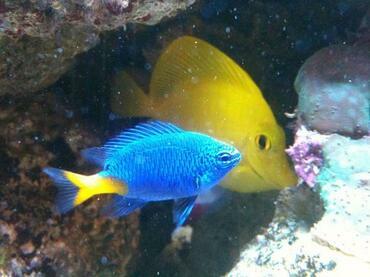 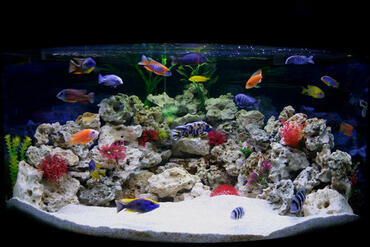 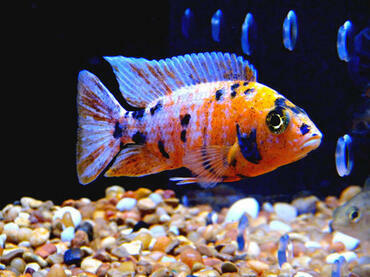 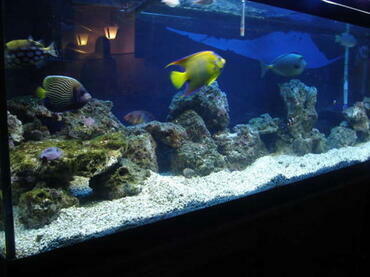 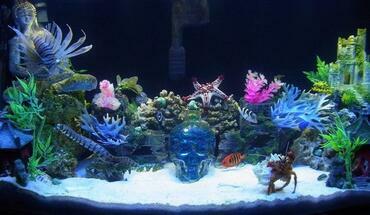 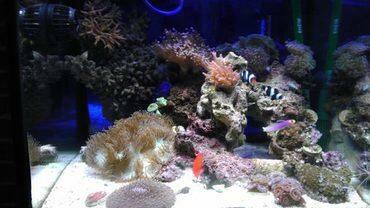 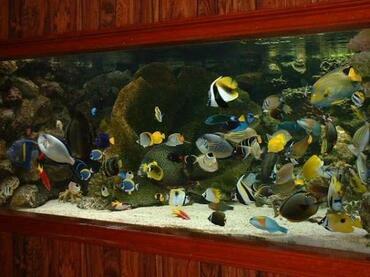 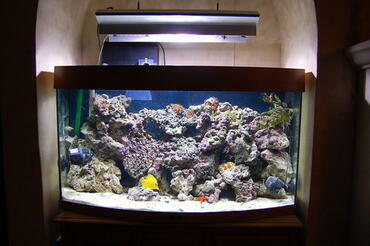 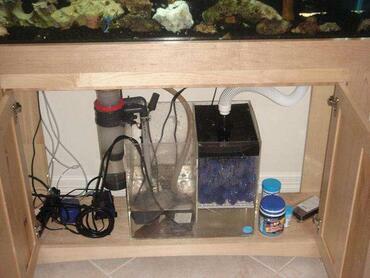 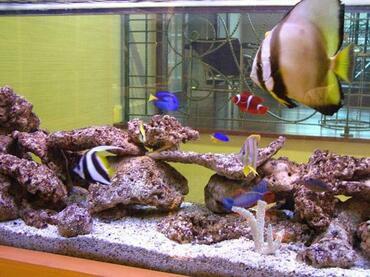 As a general rule, it is not a good idea to use chemical products in your aquarium if you can avoid it. While the chemical might solve the problem you are using it to treat, you cannot predict the other effects it may have on your tank. 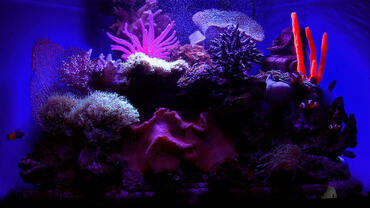 As a last resort, however, you may find yourself turning to chemical methods of Aiptasia control. 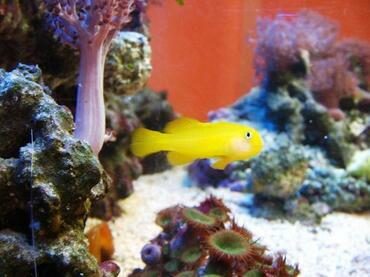 If you ask around at your local pet store or perform a basic online search, you should be able to find a product that is specifically designed to kill Aiptasia -- you usually inject the chemical into the anemone and it dies. 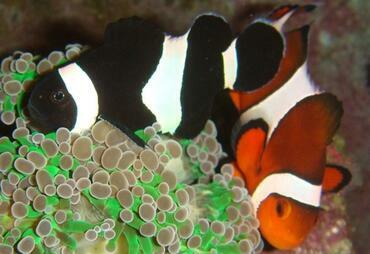 The main problem with injecting Aiptasia is that these anemones are very good at evading your attempts. 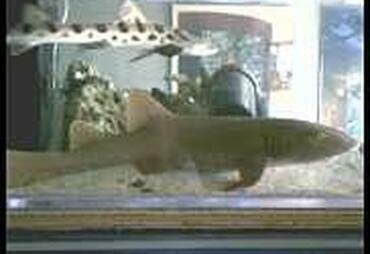 They are pretty fast and will quickly retreat when they sense danger. 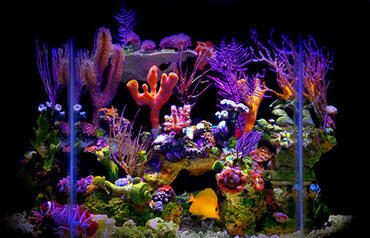 Therefore, it can be difficult to actually inject a specimen. 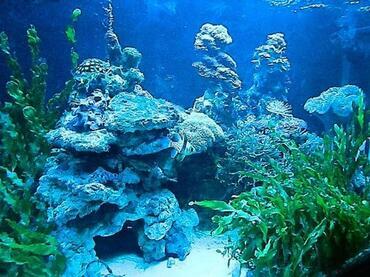 Also, while some chemicals claim to be safe for the rest of your corals, I would still investigate these claims and make sure that the rest of your livestock will not be damaged when the chemical is introduced to the water. 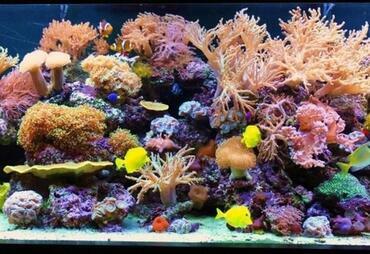 If you do decide to use the chemical approach, be prepared to watch your corals constantly and perform large water changes if signs of stress appear. 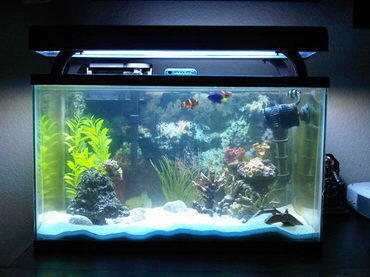 It should also be noted that some of the chemicals that claim to rid your tank of Aiptasia do not actually work or contain very harmful compounds. 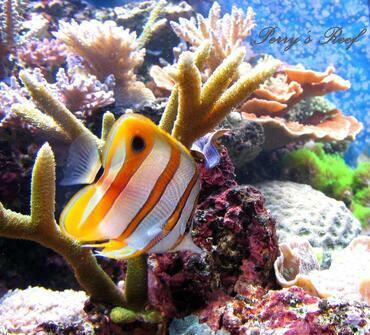 You need to research specific brands if you decide to go down this path. 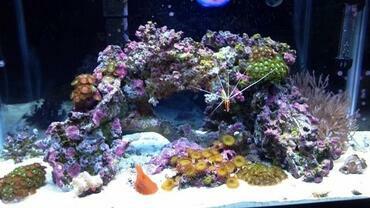 Also, I have heard from many people that using chemicals does not generally work because bits and pieces of the anemone are often left behind, only to start a new grouping of Aiptasia a short time later. 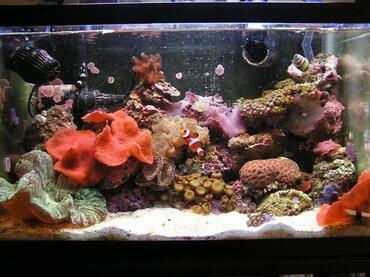 Aiptasia infestation is a common problem in saltwater aquarium -- I personally do not know any saltwater hobbyist who has not had at least one of these creatures hitchhike its way into their tank. While Aiptasia Anemones are hardy and can be difficult to get rid of if you do not know what you are doing, the good news is that often a natural predator like a peppermint shrimp will work. 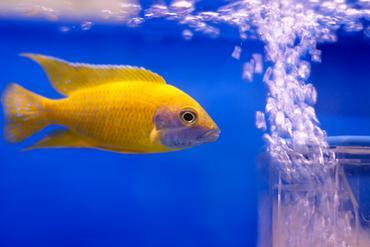 Chemical control methods can be used, but please use this as a last resort and do significant research before adding any particular brand of chemical into your tank.